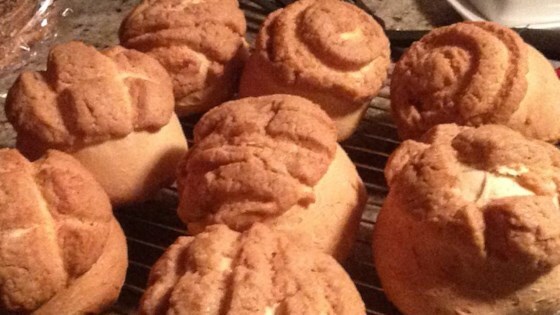 "These Mexican sweet buns are great to make during the winter time, especially for Christmas! People love the sugar topping that browns when they bake." IT WAS A VERY GOOD RECIPE JUST LIKE MY GRANDMOTHER USED TO MAKE WHEN I WAS A KID. I DIDN'T NEED ALL 5 C. OF FLOUR. WILL DEFINETLY MAKE AGAIN. THANKS!! This was the first time I've ever made a yeast bread of any sort. I was very pleased with the results. If I can make these, anyone can. I will make these again.